6 Simple Tips for Selling Your House…That No One Does. Take the time to prepare your house for a quicker (and more lucrative) sale. Homes that are well maintained, decluttered, clean (and priced appropriately) at the start sell FASTER and often for more money. Follow these steps and you’ll be WAY ahead of the competition around here. Trust me, we have shown a LOT of houses in McHenry and Lake Counties. Most buyers cannot imagine a room any other way than it currently is. So re-arrange or move your furniture around to show off the home’s features. It will be well worth your time to move any extra items into storage while the home is being viewed (you are going to be packing anyway, you might as well get started early). The front of your home will attract drive-by attention especially when that FOR SALE sign goes up in the yard. So make it look good! Tidy up the bushes. Or tear out those overgrown bushes completely if they obstruct the view of the home. I see this issue ALL the time. People want to SEE what they are buying. And consider that the buyer’s real estate agent will be standing at the front door getting the key out of the lock box while the potential home buyers are standing around so you might consider painting the front door a fresh color and adding some flower pots near the doorway for a great first impression. basically anything that the buyers would want to or need to do when they moved in would be worth doing now. This will depend on the situation but we help our clients decide if it’s in their best interest to consider updating the roof, the kitchen, bathrooms etc. Sometimes it’s worth it. Sometimes it’s not. That’s what a good agent can help you decide. A Real Estate Professional can be a HUGE asset if you use the right one. Choose someone that is knowledgeable about your specific market, regularly monitors new listings and sales in your area. Someone that will tell you the truth…even if you don’t want to hear it. Someone that is tech-savy and can reach a broader audience than your yard sign. Someone that you trust to negotiate on your behalf. If you are local (Chicago area) and would like to set up a consult to discuss your home, please visit our FULL SERVICE SELLING PROCESS page and get in touch. We can also refer you to a trusted real estate agent anywhere in the US through our network, please don’t hesitate to contact us. Last week I posted some fireplace makeovers that may inspire you to throw (or rather brush) some paint over your fireplace bricks to give the room a nice CLEAN look. And some of you are probably SCARED to do that. I know, I know, it’s a SIN to paint brick, right?! It’s not complicated. You just mix water and white paint (or I suppose you could do gray or tan, but would that still be called WHITEwash?! hmm…). Use whatever ratio you want depending on how transparent you want it to be. 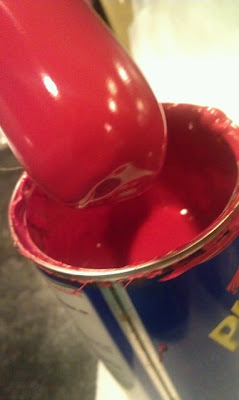 3-4 parts water to 1 part paint would be a good place to start. Then apply to your fireplace. 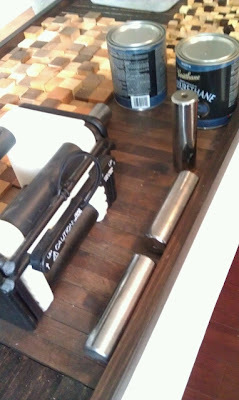 Try rollers, brushes, rags…whatever works for you! 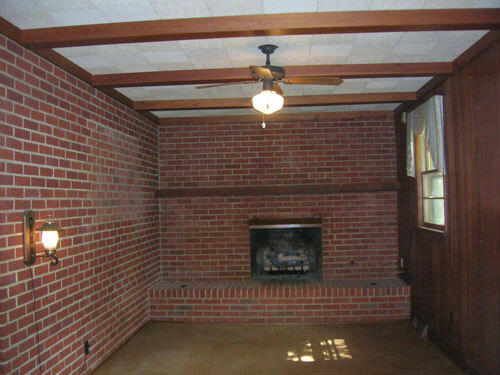 Almost every ugly house (and many perfectly nice houses) have dark, dingy, dirty brick fireplaces. My clients get a creepy feeling from the room. I totally understand…especially when the room has all wood paneling and no windows in sight. Call me crazy, but you will usually find me following behind with a little twinkle in my eye because I have this crazy ability to see the AMAZING potential that most people are unable to imagine! I’m blinded by sweat equity potential that a simple paint brush can achieve (and the proof is in the before and after pictures that you are about to see). I’m hoping to share more of these simple (and some not-so-simple) house remodeling ideas for you to keep in mind when you are out buying your next home (or even tips to use when selling yours…or updating the one you have now). 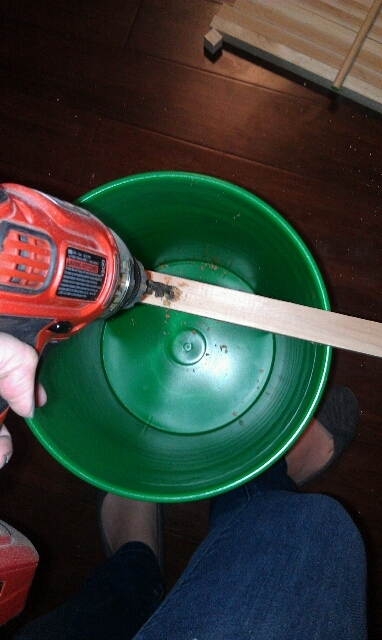 I’ll turn you into a DIY-er even if you’ve never done ANYTHING yourself. There are many re-facing/covering remodels but these are a handful of painted ones that are just SO simple and dramatic (and budget friendly) that I had to share a few of my favorites from around the web…many of these bloggers have posted detailed how-to tips so you should click the links if you want more info. I know. I know. Everyone thinks it’s a sin to paint brick. But I’m hoping you now have proof otherwise. There are so many colors to choose from, you can even paint it to look like a lighter color brick. Happy painting! If it doesn’t turn out you can always build or tile over it, right?! Living Room & Fireplace Remodel. I know they are ugly BUT we loved the HUGE window, Large fireplace wall, recessed lighting and endless opportunity! After some bamboo flooring, paint, new fireplace build out and glass tile, granite hearth, (oh and we closed up that wall into the 2nd bedroom. Check out what we created! 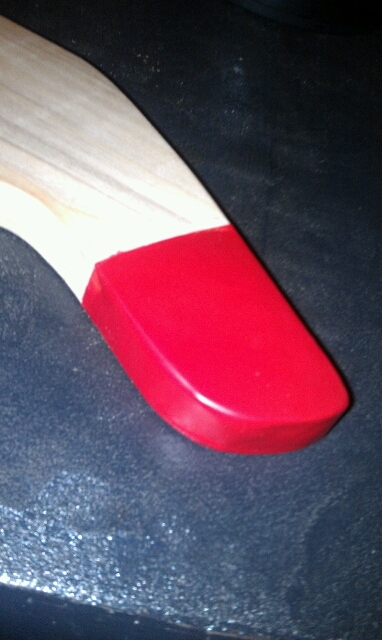 I have some left over red Plasti Dip from that cutting board project 2 weeks ago. 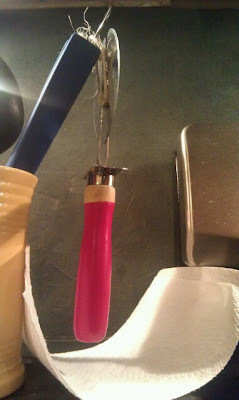 I have a boring old wooden spoon and this pizza cutter (that I’m guilty of putting in the dishwasher and ruining the handle). Wiped a little off the end so it didn’t have a big rubber tail. Then stood there holding this thing. Whoops, probably shouldn’t have acted so quickly without thinking about where I was going to set this thing down while it dried. You cant just set it down. So I used my best MacGyver skills, tied some twine around it and hung it up (with a paper towel under it just in case it dripped). And here’s that finished spoon! Love. It. What’s next?!? Any other ideas out there? 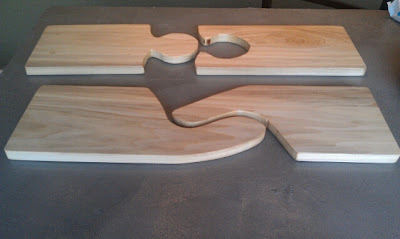 I have ALWAYS liked the idea of making cutting boards, but prefer to stick to big impact DIY projects. You know, the ones that are easy and/or save you LOTS of $$$. With that said….this is SO easy and WAY less than $200. 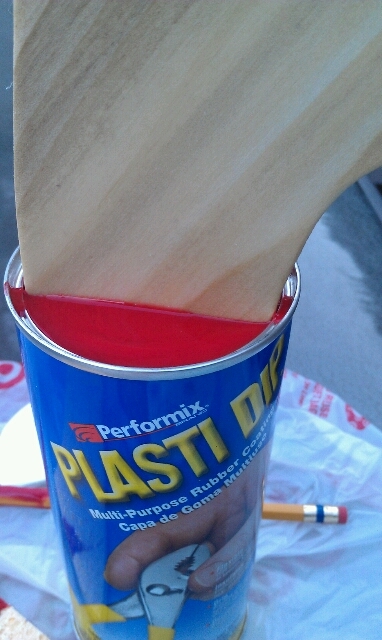 It’s a solid slab of wood and the Plasti Dip was under $7. Psst…they’d make great gifts too! First, you’ll need to find some scrap wood or buy some nice wood at the lumber yard or home improvement store…keep in mind that the harder woods are best for cutting boards. 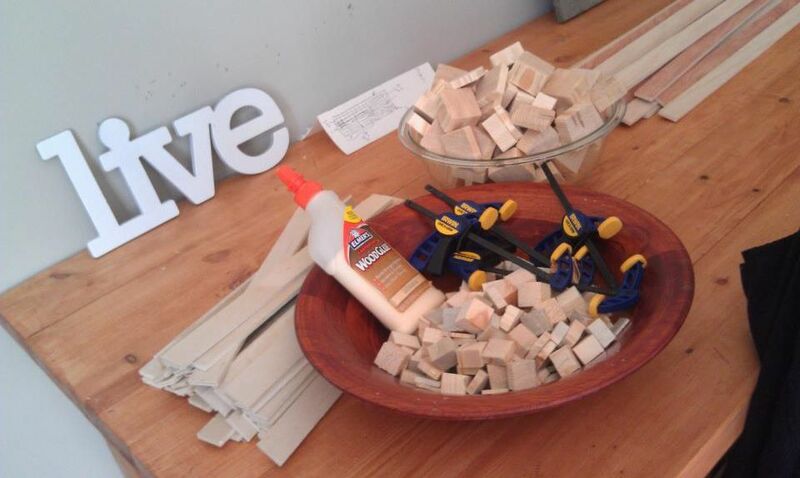 We used Poplar, which isn’t really that hard but we are just using it occasionally for cheese and crackers or bread. As you can see, I drew some patterns on the board with pencil…I wanted to get 4 cutting boards out of my 4 ft board without wasting too much. 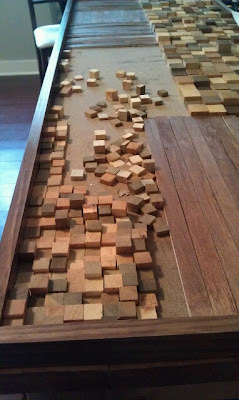 You could always make rectangular ones if you don’ t have a jigsaw. Then I broke out the jigsaw…I was a bit rusty. Thankfully cutting boards are forgiving. Not too bad, right?! Then comes the real work! and repeat with fine grit paper. 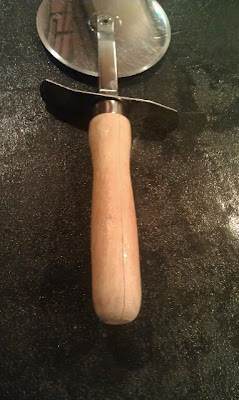 Use a hand sander, I started with a really rough paper 80-110 range then a finer paper (I used 220). Then I got lazy and quit so Dave went over them again (that’s true love! )…make sure you get all the edges, sides, top and bottom. But it sure would be nice to keep those top ones as a set to be used together for long french baguettes and then they can come apart to use for cheese and crackers as well! Who doesn’t love a multitasking kitchen item?! 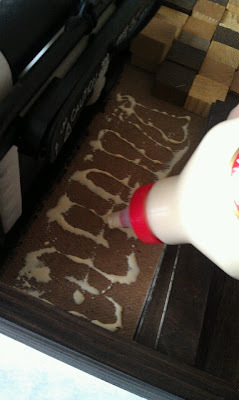 Apply mineral oil to the boards to seal them. I actually used an orange oil & beeswax combo that I found. 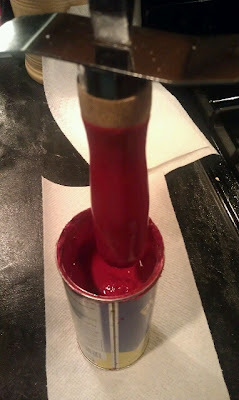 Mine was a bit thin at first because it wasn’t sticking to the mineral oil that didn’t soak in yet. You should probably dip first then oil…or at least be patient enough to let the oil all soak in. 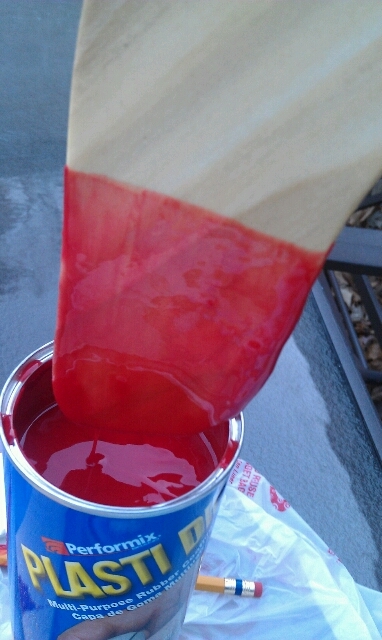 So I let it dry and gave it one more coat. Turned out GREAT! 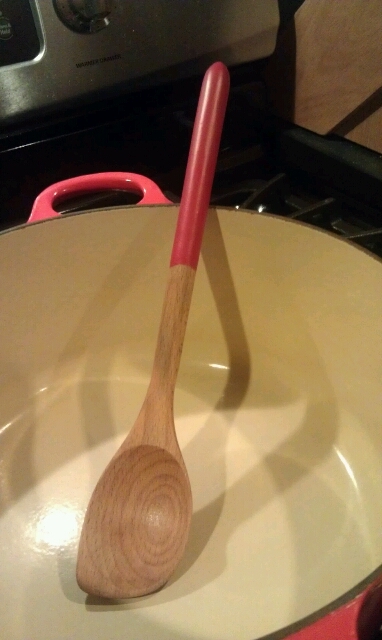 I like that that rubbery handle adds a nice grip to the bottom. Might be nice to coat the whole bottom with it. It comes in any color imaginable! I think I’ll be doing the ends of my keys next. I saw some table legs, origami birds and pine cones on Pinterest that were dipped in Plasti Dip. The white ones gives the look of ceramic but much more kid friendly! I’m usually the one that gets angry at this time of year that people aren’t following the rules about waiting to decorate, listen to holiday music, and all that other general holiday joyfulness…sounds like a silly thing to be angry about in retrospect. And having two little boys who’s eyes light up with every mention of lights, Christmas trees, Santa, cookies, etc is pretty great! We cut some random scrap pieces to different lengths (ranging from 3″ to 18″) to make our mini version of this tree (it’s about 2 ft tall). 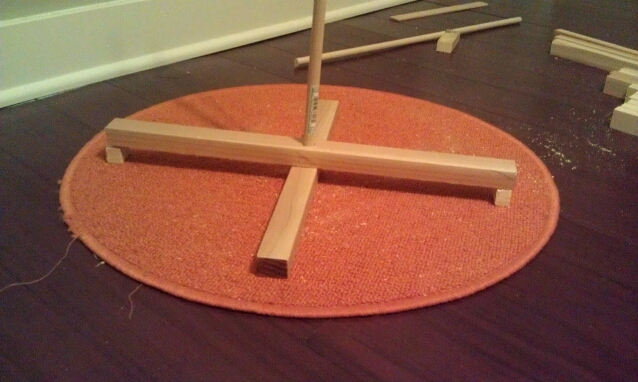 Start threading them on the dowel. You’ll see that I decided to make the second piece up a little bigger so I could add little feet to it and still allow it to fold flat for easy storage). And here’s that link again to the full plans over at The Design Confidential. You like?! How many trees do you put up at your house? WARNING: This is long so feel free to scroll through the pics for a quick summary. NOTE: This was our first time ever touching concrete….YOU CAN DO IT TOO :) We’ll do our best to share what we’ve learned since then. 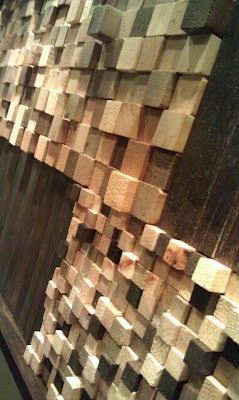 We poured and stained these in place in the Summer of 2010 and they still look great! 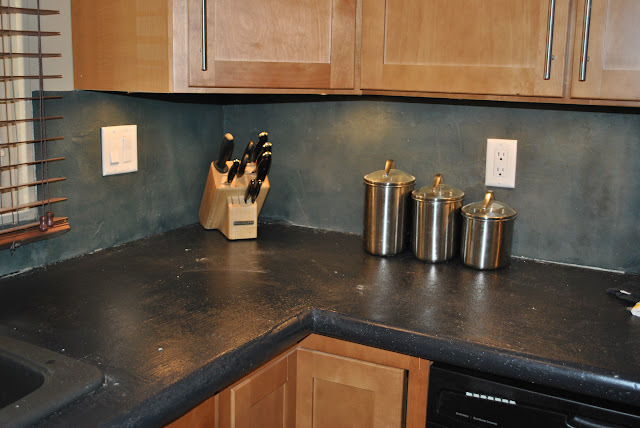 Attach countertop forms to cement board. Note:You could build your own form but it would need to come down to cover cement board edge then out away from cabinets then back up to height of final countertop. We chose to order from this site (Z Counterform) to make our life easier. AND they have a bunch of options. 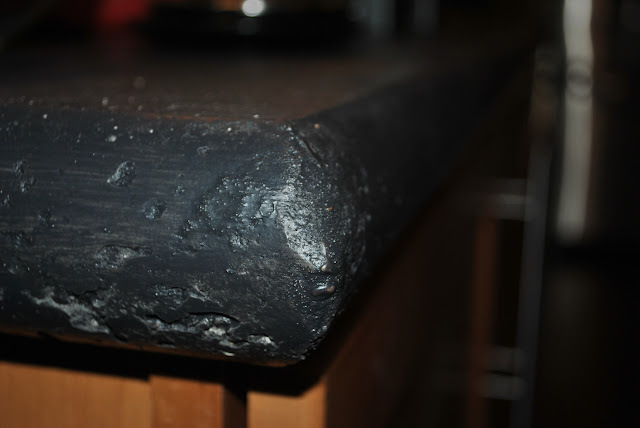 We chose the “Full Bullnose” form. Roll out and cut chicken wire to size. It will reinforce the concrete and help to avoid cracks. START MIXING and POURING! Follow the directions on the package. We decided to mix by hand since we were doing just the island as a test. 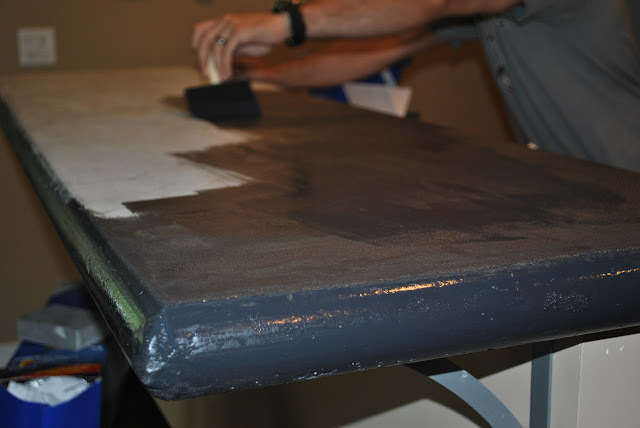 In this section of countertop we used a quick drying blend made specifically for counters. BUT we didn’t anticipate just HOW QUICKLY it really drys. You will need to work FAST and have helpers! Press it into the edges as well as possible. This will make your life much easier when you take the forms off. 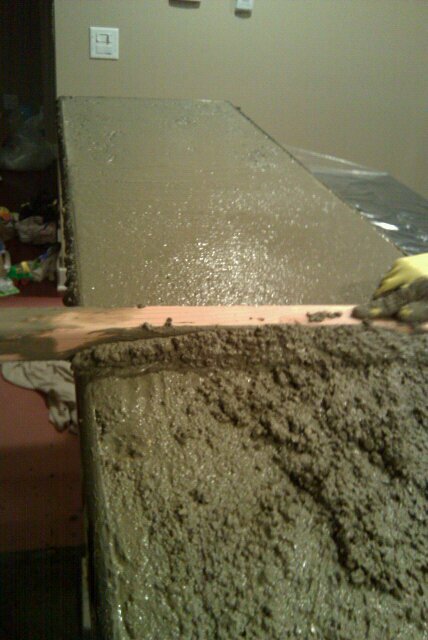 Screed the top (shimmy a board back and forth along the top) to get the water to come to the surface which will smooth it out. WAIT. AND WAIT. AND WAIT. The moment you’ve been waiting for…SNAP those forms off! 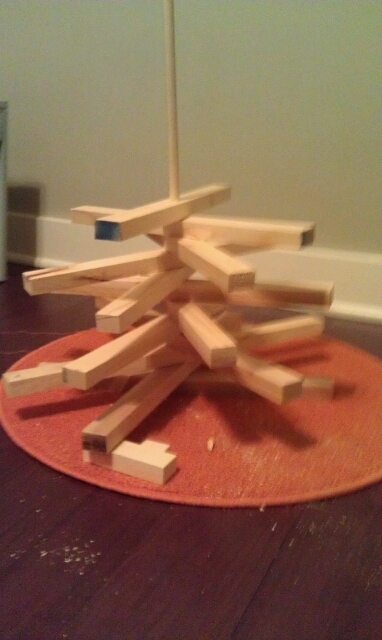 Ours looked pretty good, but there were some sections that needed some major filling/sanding etc. so don’t cry about it if it’s not perfect! We actually loved the texture so we mixed up a ‘slurry’ (wetter than usual concrete mix) to fill in the sections that needed it and left the rest. We are also a bit lazy and didn’t want to make a huge sandy mess in the house since we were living there. If you like a super polished look. 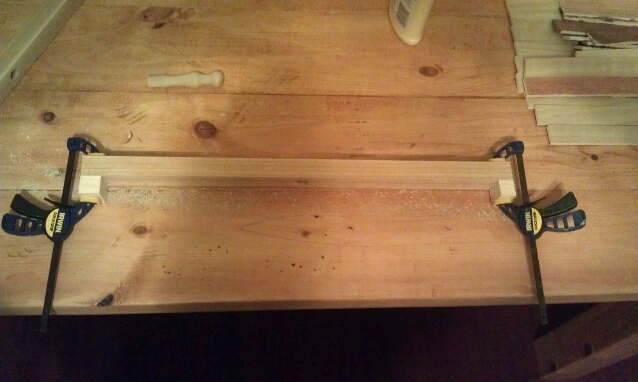 This is the point that you would start sanding top down in a major way. But wear a mask and tarp off the room because this will be dirty! 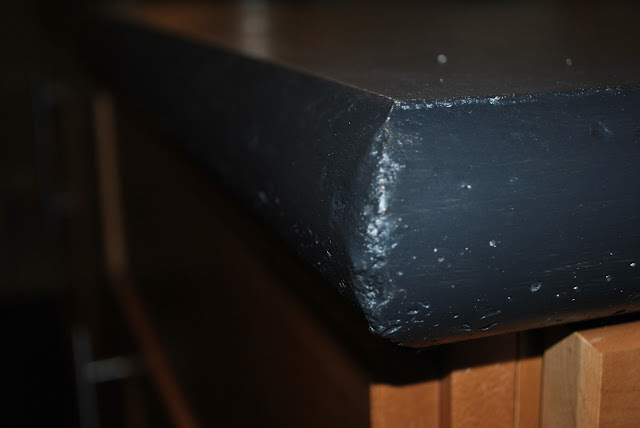 We choose a solid black stain to contrast with our light cabinets. Simply brushed it on and let it dry. We used a food-safe wax to seal the counters. Feel free to ask questions in the comments or on our facebook page. I’m sure I left out some details (and I will try to find and add the specific stain/sealers etc. that we used to this post when I find them). 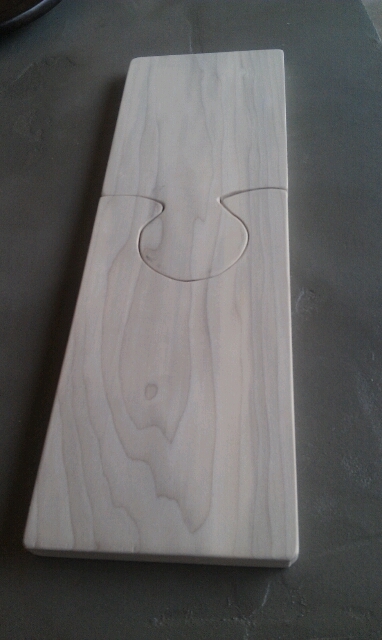 We cut 1/4″ backer board to the size you want. 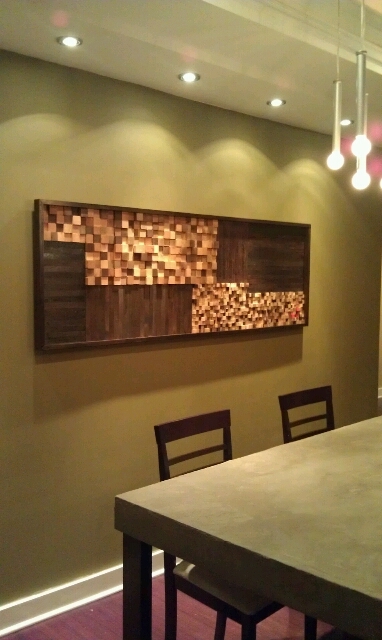 This one was 6ft wide x 2ft high. 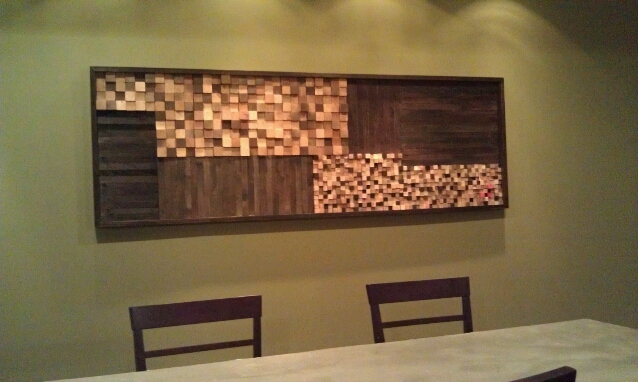 Then we framed it with 1×2’s and stained them. 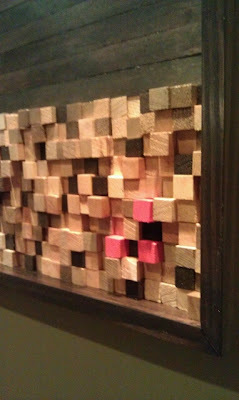 The slat pieces were made from 1/4″ plywood that was ripped down into 1″ strips. 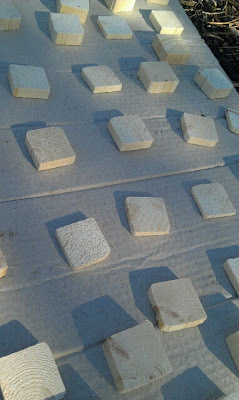 The large blocks were 2×2’s sliced into different lengths. 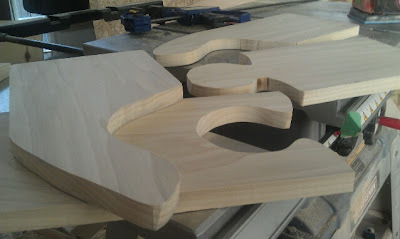 Then, we used a sanding block on any of the rough edges. 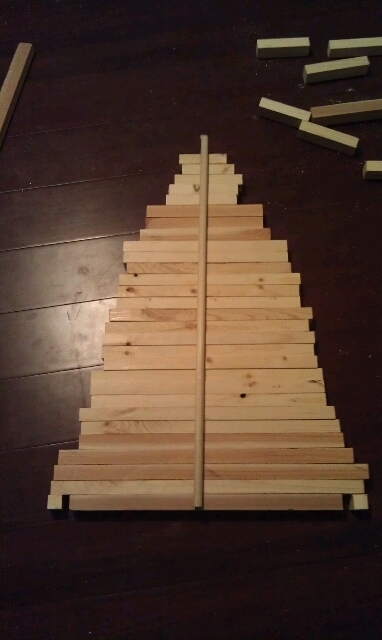 Start placing all of your blocks and slats in place. You’ll likely need to trim some slats or make adjustments in your layout to achieve a perfect fit. We got the layout looking good but weren’t happy with the coloring. 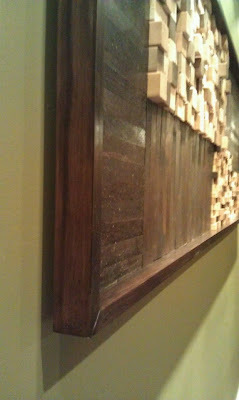 The frame and slats would look better in a darker espresso color. 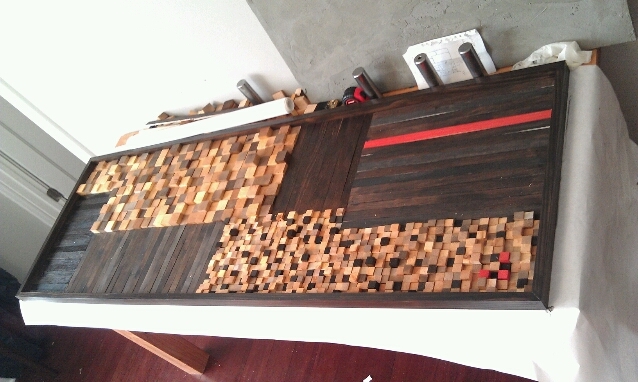 So we tested a new black color on a sample slat and LOVED IT. Looks good,right!? Isn’t the fun strip of color great too..
What do you think?? Would you take on the challenge of making one for yourself? HELLO Home Buyers, Sellers & Do-It-Yourself-ers! Don't miss out on any updates: Join the conversations on Facebook, Instagram and Pinterest. And check out the WORK WITH US tab if you need help buying or selling...wherever you live!